For a copy of any of the books, publications reports or pending reports, please leave your name and details and name of article or book required. A copy will be forwarded. Balston, J.M., Billington, K., Cowan, H., Hayman, P., Kosturjak, A., Milne, T., Rebbeck, M., Roughan, S., Townsend, M. (2011). The impact of climate change on agriculture in the central local government region. Integrated climate change vulnerability assessment. Central Local Government Region of South Australia, Crystal Brook, SA. pp.331. Rebbeck M.A., Lynch C.W., Hayman, P.T., Sadras, V.O. (2007) Delving of sandy surfaced soils reduces frost damage in wheat crops. Australian Journal of Agricultural Research, 2007, 58, 105–112. Truscott M.A. (2002). Economic Benefits of Climate Risk Management. 11th ASA Conference, Geelong. Rebbeck, M.A, (2015). Improved production adaptation and mitigation for southern Australian livestock. NCAF conference Surfers Paradise, Oct, 2014. Rebbeck, M.A, (2012). Innovative practices to reduce greenhouse gas emissions. The CCRSPI (National Climate Change and Research Strategy for Primary Industries). Conference 2011. Melb, Nov 2012. Rebbeck, M.A, (2011). Management of livestock in southern Australia to 2030. The CCRSPI (National Climate Change and Research Strategy for Primary Industries) Conference, 2011. Melbourne, Feb 15-17. Truscott, M.A. and Hayman P.T. (2004) Early Season Rainfall as a forecasting tool in Southern Australia. SARDI, Climate Applications Unit. 16th Australia New Zealand Climate Forum. 8-10 November, 2004, Lorne, Victoria, Australia. Truscott, M.A. (2003) South Australia’s Gamble with the 2002 Drought. Who won and who lost? SARDI Climate Risk Management Unit for BOM droughtcom, Melbourne, Vic. Truscott M. & Egan J., 2002, Climate risk management. Cropping Systems Update, proceedings, pp41-44, February 20-21, Adelaide Convention Centre, Adelaide. Truscott M., 2001, South Australian Update, BOM Climate Outlook Forum, May 9, Melbourne. Truscott M., 2001, To seed or not to seed – tools to make decisions, AIAST One day symposium, August 28, Plant Research Centre, Urrbrae. Rebbeck, M.A. (2015) Fleurieu Beef Group Farm 300. Climate & Agricultural Support Pty Ltd. Final report for Meat and Livestock Australia. Rebbeck, M.A. (2015) Livestock and pasture case studies to demonstrate greenhouse gas abatement. SARDI Final Report for Australian Government Action on the Ground AOTGR1- 0039. Rebbeck, M.A. (2015) Livestock and pasture case studies to demonstrate greenhouse gas abatement. SARDI Milestone report 8 for Australian Government Action on the Ground AOTGR1- 0039. Rebbeck, M.A. (2014) Livestock and pasture case studies to demonstrate greenhouse gas abatement. SARDI Milestone report 7 for Australian Government Action on the Ground AOTGR1- 0039. Rebbeck, M.A. (2014) Livestock and pasture case studies to demonstrate greenhouse gas abatement. SARDI Milestone report 6 for Australian Government Action on the Ground AOTGR1- 0039. Rebbeck, M.A. (2013) Livestock and pasture case studies to demonstrate greenhouse gas abatement. SARDI Milestone report 5 for Australian Government Action on the Ground AOTGR1- 0039. Rebbeck, M.A. (2013) Livestock and pasture case studies to demonstrate greenhouse gas abatement. SARDI Milestone report 4 for Department of Agriculture Forestry and Fisheries AOTGR1- 0039. Rebbeck, M.A. (2012) Livestock and pasture case studies to demonstrate greenhouse gas abatement. SARDI Milestone report 3 for Department of Agriculture Forestry and Fisheries Action on the Ground AOTGR1- 0039. Rebbeck, M.A. (2012) Livestock and pasture case studies to demonstrate greenhouse gas abatement. SARDI Milestone report 2 for Department of Agriculture Forestry and Fisheries Australian Government Action on the Ground AOTGR1- 0039. Rebbeck, M.A. (2011) Livestock and pasture case studies to demonstrate greenhouse gas abatement. SARDI Milestone report 1 for Department of Agriculture Forestry and Fisheries AOTGR1- 0039. Balston, J.M., Billington, K. Brodhurst, O., Kosturjak, A., Milne, T.,Muller, K., Rebbeck, M., Trevithick, M. (2012). Gap identification of the climate change impacts on the Murray-Darling basin region of South Australia. South Australian Murray-Darling Basin Natural Resource Management Board, STRATHALBYN, SA. pp. 189. Balston, J.M., Billington, K., Cowan, H., Hayman, P., Kosturjak, A., Milne, T., Rebbeck, M., Roughan, S., Townsend, M. (2011). Central local government region integrated climate change vulnerability assessment. Central Local Government Region of South Australia, Crystal Brook, SA. pp.331. Rebbeck, M.A. (2011). Adaptation to climate change for South Australian Livestock Industries. SARDI Final report for DAFF and MLA, southern livestock adaptation project. Rebbeck, M.A. and Lynch C.W. (2005) . 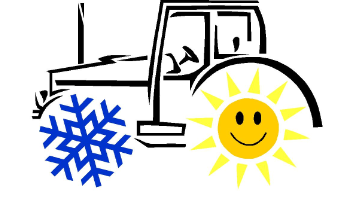 Agronomic Practices that Reduce Frost Risk. Broadacre Frost Trial Report. SARDI Project Report for Milestone 4 of GRDC Project DAS 00017, Reducing the Impact of Climate Variability. McIntosh, P., Rebbeck, M. Pook, M and Lisson S. (2005) Oceans to Grains: A New Approach to Targeted Seasonal Forecasts” MCVP Project Milestone Report 2 – July. Rebbeck. M.A., and Hubbard D. (2004). Improved Seasonal Forecasts for Wool Producers in the South Australian Pastoral Zone. Final Report for Land Water and Wool. December 2004. Rebbeck. M.A., and Hubbard D. (2004) Improved Seasonal Forecasts for Wool Producers in the South Australian Pastoral Zone. A milestone report for Land Water and Wool. May 2004. Rebbeck, M.A and Lynch C.W (2002) A review of Frost-minimisation techniques for application in broadacre agricultural cropping. SARDI Project Report for Milestone 1 of GRDC Project DAS 00017, Reducing the Impact of Climate Variability. Truscott M.A., Egan. J.P. and Mayfield. A.H. (2001). Climate Risk Management in medium/high rainfall cropping districts of South Australia: 2001 decision support trials. South Australian Research and Development Institute. A report for Milestone 4 of GRDC project DAS 297. Truscott M.A., Egan. J.P. and Mayfield. A.H. (2000). Climate Risk Management in low rainfall cropping districts of South Australia: 2000 decision support trials. South Australian Research and Development Institute. A report for Milestone 2 of GRDC project DAS 297. Egan, J.P., and Truscott, M.A. (2000). The potential for application and further development of STIN for climate risk management decision support in SA cropping districts. South Australian Research and Development Institute. A report for Milestone 1 of GRDC project DAS 297. Truscott M.A., Egan J.P. (1999). The Climate Risk Management and Yield Information Service. South Australian Research and Development Institute. A report for Milestone 4 of GRDC project DAS 253. Truscott, M.A., Egan, J.P. Tennant, D. Abrecht, D. (1998). Farmer decision support fax-back trial in the Upper North of SA. South Australian Research and Development Institute. A report for Milestone 2 of GRDC project DAS 253. Rebbeck M.A. and Egan J.P. (2008). Climate Risk Management Resource Manual. Version 3 South Australian Research and Development Institute. South Australian Research and Development Institute – Climate Applications published. Rebbeck, M.A., Gnell, G.R., (2007) Managing Frost Risk: A Guide for Southern Australian Grains. South Australian Research and Development Institute. GRDC Published. Rebbeck, M.A., Alexander, B.M., Hayman, P.T., and Duffield, T.K. (2006) Climate Risk Seasonal Outlook Guide for Primary Producers in SA cropping regions. South Australian Research and Development Institute. SAGIT published. Rebbeck, M.A., Alexander, B.M. and Hayman, P.T., (2006) Climate Risk Seasonal Outlook – Pocket Guide for wool producers in the Pastoral Rangelands of SA. South Australian Research and Development Institute. SAGIT published. Rebbeck, M.A. Dwyer, E. Bartezko, M and Williams, A. (2007) A guide to Climate Change and Adaptation in Agriculture in SA. Joint published by SARDI, PIRSA, Rural Solutions and SAGIT. Truscott M.A. Erkelenz. P. (1999). Climate Risk Management Kit. South Australian Research and Development Institute. GRDC published. Rebbeck, M.A. (2012). Grazing systems management into 2030. SARDI- Climate Applications Unit. Published in Eyre Peninsula Farming Systems Summary – 2012. Rebbeck, M.A., Lynch C.W., Hayman, P.T., and Sadras, V. (2006) Reducing Frost Risk. SARDI – Climate Applications Unit. Published in Eyre Peninsula Farming Systems Summary – 2006. Lynch C.W., Rebbeck. M.A., (2005) Unraveling the Frost Mystery – the value of paddock management. SARDI – Climate Applications Unit. Published in Eyre Peninsula Farming Systems Summary – 2005. Rebbeck, M.A., Lynch, C.W. (2004) Making the most of what the weather offers. SARDI Climate Risk Management Unit. Grain Business Magazine April/May 2004. Rebbeck, M.A., Lynch. C.W. (2004) Frost Risk Management. Grain Business Magazine April/May 2004. Truscott M. & Egan J., 2002, Climate outlook for 2002 season, Crop Harvest Report 2001/2002. Truscott M., 2001, Manging Climate Risk – New Tools to aid Farmers’ cropping decisions, pp 151- 153, Eyre Peninsula Farming Systems Summary – 2001.